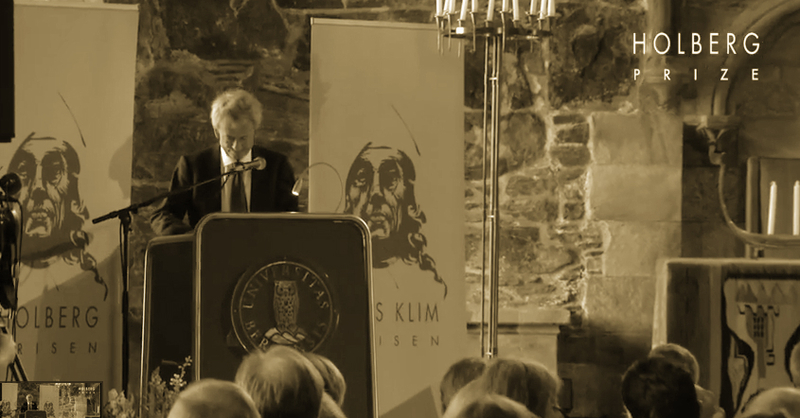 At this Holberg Award Ceremony and Lecture, 2014 Holberg prize recipient Historian Michael Cook spoke of his work on the history of the Islamic world and Islam in history. In his brief presentation, Cook gave a rare inflective autobiographical sketch into his early ventures in archeology and how other early formative “mental habits” impacted his work as a British historian. The task of the historian, much like that of the archeologist, he described, is to “reconstitute the past from the fragmentary evidence that survives from it”. While Cook openly admitted that he has never embraced a single methodological approach in his work, he did however concede that there have always been three ingrained commitments that guided the current type of work for which he is being recognized by the Holberg Committee. The first of these commitments is toward simplification — i.e., the aspiration to reduce disorder, complexity and verbiage to simplicity and order much in the style of the periodic table in the sciences. The second is the commitment to think outside the box — i.e., the aspiration to always look outside of paradigms and problem sets to find what is missing, to look for what would be expected. And the third is the commitment toward lucidity — i.e., the desperate need to achieve these rare moments of lucidity which are difficult and far between. Cook argues that these commitments have guided his “non-Western choice of field” putting him at odds with “mainstream of the humanities”. His earliest works sought to study the Ottoman changing population pressures in rural Anatolia during the 15th and 16th centuries and the study of the geopolitical changes in pre-modern middle east to understand the formation of the state and resources in the last 2000 years. It was later — with the insistence and guidance of Oxford historian Professor Albert Hourani — that Cook started to look at the question of Islam in history. Cook acknowledges that with the support from mentors like Professor Albert Hourani and colleagues like Professor John Dunn, the mainstream turn toward subjectivism and the constructivism of post-modernism in the humanities left him cold. It was rather in the diversity of approaches in the different kinds of histories at Cambridge that he found a diversity of models for his work in the history of the Islamic world. While it may be this “mismatch” of approaches that attracts and also detracts many readers, it is that very aspect that distinguished him from his colleagues and the mainstream of the humanities whom had thought to push the Middle East to the fringes of academia in the West. Cook recognizes however that it is the saliency of Islam in “shaping the contours of the world we live in” today along with the recognition of the Holberg Committee that has placed Islamic studies “part of the mainstream of the humanities”.